Ismail I (1487-1524) - After 900 years of foreign rule by Arabs, Mongols and Turks, the Persian people finally became independent again in 1501. They did so under the reign of Ismail I, founder of the Safavid dynasty. It was through his father that he rose to power. In 1488, when Ismail was only a year old, Shaykh Haydar, shiekh of the Kurds, died in a battle against the Turks. Young Ismail was whisked into hiding until he was 14, and his people had acquired enough territory to declare a sovereign state and anoint a new leader. They did so in the city of Tabriz (modern northwest Iran), which became their capital. Ismail took the title Shah, the first Persian monarch to do so (a title which would stick until the Iranian Revolution of 1979). Although just a boy when he came to power, he quickly exercised that power as a young man and conquered all the land occupied by Persian peoples in the region by 1510. Then he did something extraordinary. He converted his kingdom from Sunni Islam to Shi'a (which it remains to this day). The former rulers of the Persians were Sunnis and imposed that branch of Islam on them. But Ismail and his tribe were Shi'as and brought that denomination with him to power. He ruled from 1501 until his death in 1524. His monarchy made it possible for his son, Tahmasp I, to inherit a stable kingdom. 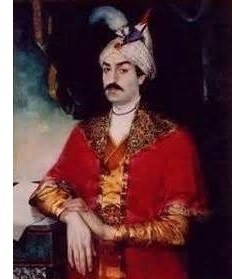 Tahmasp was the longest reigning and considered the greatest of all Safavid rulers. He also became a chief rival of the Sunni Ottoman Empire and fought many battles against Suleiman the Magnificent.